Last Friday, we had our first view of the 2015 Capacity Register. This is the list of everyone who’s volunteering to help keep the lights on, by generating more or consuming less when there isn’t quite enough electricity to go round. This was another big day for the government’s Capacity Market (CM), which is now entering its second year. The CM is a hugely important development for demand response and small generator owners, but it contains traps. Participants should be wary. “Volunteering” really means “bidding”: there’s a payment for this, set by auction. And “everyone” means “nearly everyone”. Demand response, power stations, CHP generators and batteries can all participate. Renewable generators are out – they are invited to different parties, while those last. Nevertheless, the CM is big: the vast majority of the power stations in Britain will get capacity payments from October 2018 onwards. In the first year alone, payments will be close to £1bn. Like autumn league tables, the first issue of the Capacity Register shouldn’t be taken as final. Over 13GW of capacity failed to prequalify – including two interconnectors part-owned by National Grid – but most of that will get through on appeal. Once that has washed through, we will have a clearer idea of what to expect in the coming winter’s auctions. The CM is a complex beast, but it follows simple principles. Apart from renewables, any resource that can help secure electricity supplies can participate. Resources are chosen in annual Dutch auctions, and successful parties get the auction clearing price in return for being available during a particular year. If they don’t deliver when the nation needs them, they lose some of their payments. For each delivery year, two separate auctions will buy the capacity required. The first one is the “main” auction, also called T-4, because it runs roughly four years ahead of the delivery year. That gives new power stations time for construction. But the CM isn’t just for new build: the first T-4 auction bought over 49GW of capacity, of which 95% was already up and running. That auction cleared at a price below most people’s expectations, but high enough to make it worthwhile for demand response. Just now – and despite the headlines – there are too many power stations, so large companies pushed the price down to protect market share. But CM income can be earned on top of STOR, frequency response and triad management, so it still stacks up as a worthwhile proposition. And because these auctions repeat every year, it’s possible to build up a predictable three-year revenue stream. T-4 is, without doubt, the best place to be for anyone looking for long-term revenue. The second auction is the “top-up” auction, known as T-1. This is for fine-tuning, and it also provides a route in for capacity which missed out on T-4. The first T-1 auction should run in late 2017, and will repeat thereafter. T-1 is likely to procure only around 2.5GW. That’s the size of just one large power station, so there’s a serious danger of swamping in T-1 auctions. If that happens, prices could come out very low. And in fact, that’s what happens in capacity markets overseas: the top-up round isn’t the place to make the most money. But T-1 is not in itself a trap. Winning a T-1 auction does create a 12-month obligation, but that’s all. When there’s no other way in, T-1 at least gets some revenue where otherwise there would be none. The real problem arrives before all that. 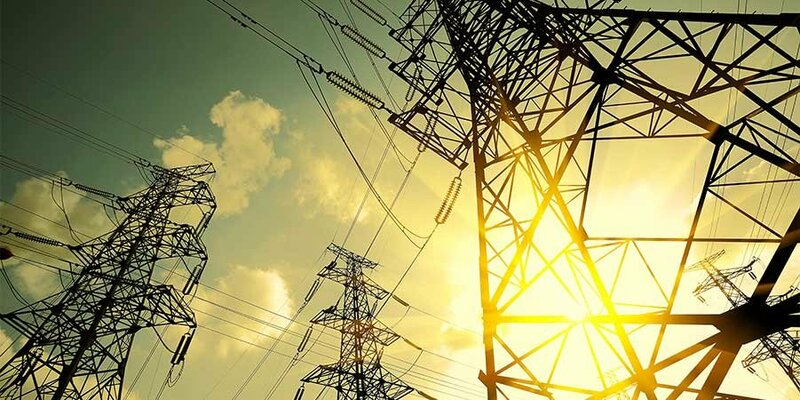 With the best of intentions, the government created so-called “Transitional Arrangements”, or TAs, especially for demand response and small generators. The TAs have the advantage that they start two years early (although they’re expected to run out as soon as the main CM gets going). As things stand now, the first TA auction could be short, which may make it seem attractive for demand response. However, the government will have spotted that risk, and has both the power and the policy intent to prevent it. So there’s sovereign risk to go with the price uncertainty – a familiar cocktail in the energy industry. The issue is that it’s impossible to participate in both T-4 and the TAs. Anyone choosing the TAs is excluded from T-4 auctions until late 2017. That means missing out on T-4 revenue until October 2021. Anyone choosing that route needs to have a lot of faith in the top-up auctions to carry them through for an extra three years. In our view, it’s going to be quite rare for this to be worth it. If the TAs prove popular, then the T-1 auctions are at risk of swamping from two sides: stranded power stations, and capacity coming out of transitional obligations. If you have doubts that your site will be there in 2018, or if your business cycles just don’t fit with the main auctions, then the TAs could do the job. Some customers will be in that position, and Flexitricity will take part in the TAs purely for them. But for anyone who can play the long game, the TAs are a trap. In contrast, there is another way into the main auction for sites which aren’t yet in the market. But it requires some agility. Flexitricity was the only demand-response aggregator to go straight into the T-4 auctions from the off, and we intend to stay there. We don’t have unlimited headroom, but we have some, and we are allocating it on a first-come, first-served basis. Crucially, we can absorb any type of capacity: load reduction, CHP, standby generation – basically anything that isn’t covered under one of the renewable support schemes. Because the CM rules allow for obligation trading, we can use capacity which we secured for flexible load to absorb CHP generation. What this means is that latecomers are admitted, and they can sit in the front stalls. In comparison, the Transitional Arrangements are like watching the show from the annex, by video link. You might as well have stayed at home.